One of the many methods we use to build email lists involves the use of online sweepstakes. Clients ask us if Sweepstakes or Contests really work, and the answer we give is: MAYBE! Most sweepstakes that we see online tend to miss the mark in generating the right kind of interest and typically result in multiple entries from the same people. The less information you require from an entrant the more likely that their interest in your business will be ZERO. The most important aspect of sweepstakes design is in the assembly of the signup workflow. The prize itself is very important. Offering entrants a cash prize can result in a large list of totally uninterested prospects who only signup for the chance to win the money. On the other hand offering a specific prize associated with additional upsells to the prize winner can be very effective at building the right demographic of subscribers. As a for-instance, lets assume you run a house painting business and you want to target local home owners with your sweepstakes. If you set up a sweepstakes to paint one room of a house, the prize winner can be upsold having the rest of the house painted at discount. Meanwhile you can assume that almost every entrant owns their home, and once you have them in your email list, you can blast out a weekly mailer with tips, and updates on your services, including new coupons. Probably the most important rule in setting up a sweepstakes is to know the legal difference between a sweepstakes, and a contest and a lottery. The main difference between a sweepstakes and a lottery is that the lottery participants have paid or promised to pay value for the chance to win the prize. 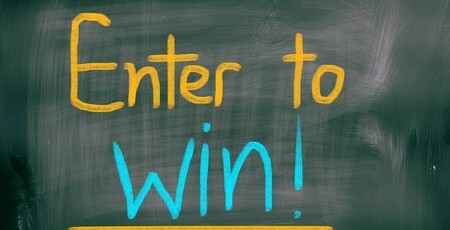 The main differences between a sweepstakes and a contest are that the contest participants must use at least some skill to win the prize and must pay some value to participate in the contest. 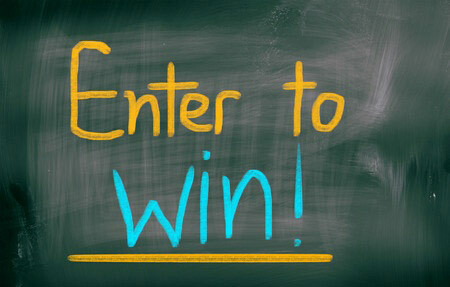 We only recommend sweepstakes or contests where the entrant is not required to pay to participate. One bad outcome from a poorly constructed sweepstakes can be the involvement of state government fining you for the error. Some states require you to file paperwork and a bond when your prizes exceed certain limits. Before you run a sweepstakes, it is best to speak with someone about the legality of your plan. We can help identify common pitfalls of poorly defined sweepstakes, so feel free to give us a call for a review if you’re thinking of running one. All the rules, regulations, terms and conditions of the sweepstake. And after the sweepstake is complete, information about who won the prize, and when the sweepstakes ended. 1. Make sure the entrant knows that they must confirm the signup to be fully entered in the sweeps. 2. Take advantage of every new signup to send a Welcome message with information about your products / services, links to interesting information about your business, and a number to call if there are questions. Every phone call is a sales opportunity. 3. If you have something free that you can send to an entrant such as a free sample, or guide to your services, or other snail mail idea, do not ask for the address through a form. Rather, add a telephone number field to the form and offer the package if they give you the phone number. Then have your sales team call and get the address from them over the phone. Say it’s a security precaution, and then use the call as a sales opportunity. 4. Be sure to setup a series of auto-responders with follow up notices about the entire range of things you do, and include useful information, or inspirational messages in each mailing. 5. Twice a month be sure to email out a status on the contest. Put a refer-a-friend mechanism in the email, and make sure you announce the winners and prizes on the website, and in the email. Of course there are more ideas that come with specifically tailoring a contest or sweepstakes for your specific business purpose. Give us a call and let’s discuss how the right campaign can work for your company!